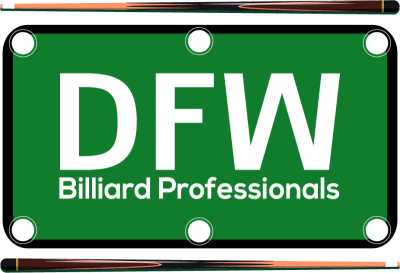 DFW Billiards Professionals was established to offer professional, yet affordable, cue and pool table sales and services to pool players and pool rooms throughout the Dallas / Ft. Worth area. We are a fully licensed and insured company who specialize in pool table moves, pool table re-felting, pool table cushion replacement and all other types of repairs and reconditioning. Whether you are a residential owner looking to outfit or upgrade your first game room, to the small business owner looking to ensure their pool operation runs smooth and profitable...our team of experts have you covered. Estimates and consultations are absolutely FREE, so give us a call and let us show you how to make the most out of your billiards experience. Here is some pricing for our most popular services!